There is a list of household chores that never end. Vacuuming, picking up, and dishes to name a few. There’s one in particular that truly never stops. Thankfully, clothing is not an option in modern society. Since clothes aren’t optional, neither is doing laundry. Even if you re-wear clothes, laundry piles up in a hurry. The moment you finish cleaning, drying, folding, and putting away your clothes, there’s more in the hamper. It never ends. That process makes me think, how much does laundry day cost you? How can you save money or time doing laundry? With some estimation involved, I am going to research the costs of doing laundry at home. Before we break down the numbers, we must establish that these numbers are relative. Creating a guide with exact statistics would be next to impossible. One household might have a more efficient washer/dryer combo than the next, and certain cities have different energy and water costs. The numbers I’m using are based on averages in Kansas City, a central city with an average cost of living. Let’s start by identifying a detergent. I selected the standard Tide Pods. A pack of 72 Tide Pods sells for $17.99. That brings the price of one pod to $.25. Since a load of laundry only requires one pod, the detergent cost of a load of laundry is $.25. 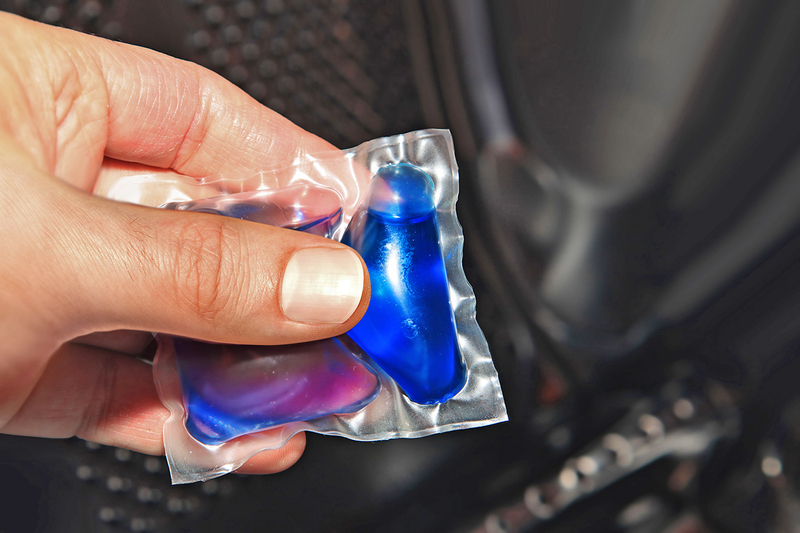 I realize that there are cheaper detergent options, but pods are the easiest way to keep the amount of detergent consistent across all loads. It also happens to be one of the most popular laundry soap options. With the price of detergent determined, we can begin the washing process. In Kansas City, energy costs $.10751 per kWh (KCPL). This figure gives us a price, but how many kilowatts does a washing machine use? That depends on a couple of factors. It depends on the efficiency of the machine being use and the temperature of the water. Michael Bluejay has put together an incredible guide for electricity. He even created a table outlining the costs of a load of laundry when using different temperature settings. The table shows that higher temperature settings use more kWh. That’s because the water heater is having to heat more water. The tags on your clothes will typically tell you what temperature to use when washing your clothes. As you (and everyone else) knows, most water heaters require electricity. When less hot water is used, less electricity is used to power the water heater. Bluejay highly recommends using cold water on the rinse cycle of a wash, mainly because at that point the clothes are as clean as they are going to get. For the wash cycle, the temperature will vary. For this exercise, I chose to use the hot/cold setting. According to Bluejay, the typical top-loading washing machine uses 2.8 kWh per hot/coldcycle. At a rate of $.10751, that comes out to $.30/load (just for electricity). An article on Home Water Works suggests that a person should only do full loads of laundry to be efficient. Washer types vary significantly from home to home. 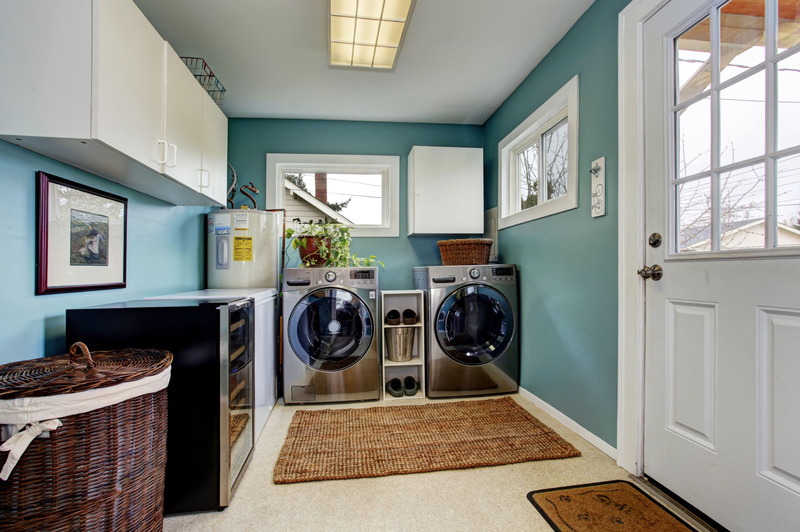 The typical residential washer has a capacity of about three cubic feet and uses (roughly) 30 gallons per wash. This value is a ballpark number because the amount of water depends on the efficiency of the washer. Newer, high-efficiency front loaders use much less water, while the older top loaders can use up to 45 gallons per wash.
gallons per load. WaterOne in Kansas City has a rate of $4.08 per 1000 gallons of water. To get the price per cycle, we need to do some more math. We seem to be missing something… Aren’t those clothes still a little wet? A dryer can sometimes be the most expensive part of the process. According to Bluejay, a dryer in Kansas City that runs for 45 minutes will cost $.36. That’s a pretty low number if you don’t consider the other variables. What other variables are there? First, the life of your washer and dryer needs to be considered. Every time you run one of your machines, it depreciates. With proper care, washers and dryers can have a long lifespan. Sears is a company that has built a brand synonymous with washers and dryers. They have been a leader in the washer and dryer industry for decades. Their website estimates that a washer and dryer combo lasts an average of ten (10) to thirteen (13) years. Some may not last that long, and some may last longer, but thirteen is a fair number. The number of years that a washer/dryer combination will last will depend on how many loads of laundry that machine does. SFGate says that washing machines last anywhere from 1400 to 1800 cycles. If a person buys an average washer and dryer and it is built to last 1500 cycles, each use will cost $.24 (unless you rent). Combining all of these factors, the average cost of a load of laundry is $1.27. At this cost, if you do one load per week, doing laundry costs $66.04 per year. If you do four loads per week, doing laundry costs $264.16 per year. If you average eight loads per week, doing laundry costs $528.32 per year. That figure doesn’t even factor in additional costs such as dryer sheets, fabric softener, add-in scents, and ironing. Suddenly, doing laundry is a little more costly that you originally thought. How can you cut down on some of those costs? 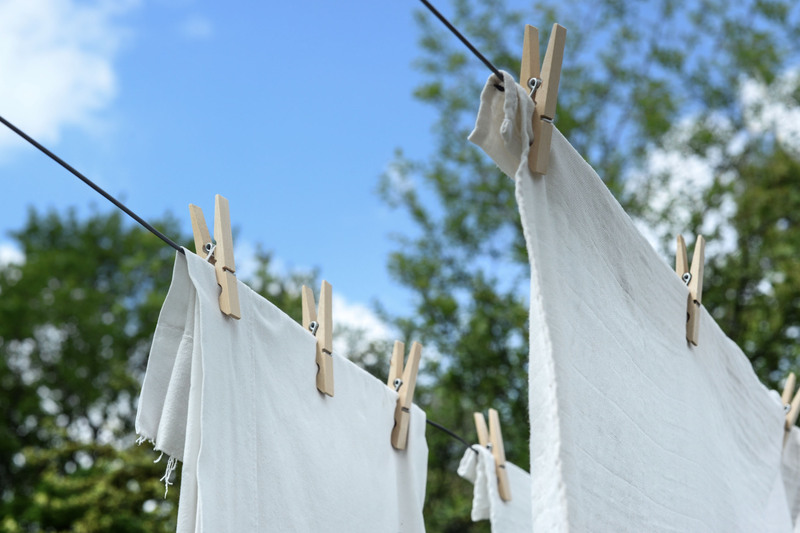 Here are a few ways you can save money when doing laundry at home. Karrie at Happy Money Saver has a wonderful DIY detergent recipe that can save a person some significant money. She estimates that the average detergent cost per load with her method is $.04. Compared to Tide Pods, that’s a $.21 difference. A $.21 difference can add up over the year! All of the ingredients for this particular recipe can be found at a local grocery store. Hanging clothes may take a little more time, but it will eliminate the costs incurred by running the dryer for six hours a week. Depending on where you live, we recommend that you only do this during the spring and summer months. When the dryer is running, it is bringing in extra heat that will make it harder for your HVAC to keep your house fresh. On the other hand, although it is small, that excess heat can help preserve a home’s temperature during the colder winter months. This one seems obvious, but re-wearing clothes can save both time and money. Some clothes last longer the less they are washed; jeans are a great example, underwear is not. As I mentioned earlier, don’t run the washing machine unless you have a full load. The less laundry you do, the less money you’ll be spending. These tips seem self-explanatory, but people often value convenience over money (which I don’t oppose). Counting pennies isn’t always fun, but all of those pennies can add up. If your laundry process works for you and you don’t mind the cost, don’t change a thing. I didn’t write this to try and change how you do laundry, I wrote this to educate. I wrote this to display some numbers that people don’t always think about. If you have some creative ways to help cut costs or cut time doing laundry, send us a message or leave a comment!